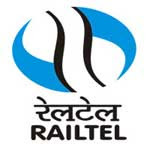 RailTel Recruitment 2017 – 02 AGM, Joint General Manger Posts:- RailTel Enterprises Limited (A wholly owned subsidiary of RailTel Corporation of India Limited) New Delhi has issued notification for the recruitment of 02 posts of Additional General Manager (AGM) (Technical) and Additional General Manager (AGM) (Fin) / Joint General Manager (Fin) on regular basis. Interested & eligible candidates can apply in prescribed application format. Last date for submission of application is 03/07/2017. Age Limit: The applicant should not be more than 50 years of age as on the last date of receipt of applications in RailTel. For Sl No. 1 : BE/B.Tech Degree in Electronics & Communication Engineering; or Telecommunications; or Electronics; or Electronics & Electrical; or any other combination of subjects where Electronics is one of the subjects, like Electronics & Instrumentation; or Computer Science. or Information Technology; with 60% overall marks in all the semesters of Bachelors degree. Minimum 15 Years â€™ experience in ICT/Telecom and dealing with Central/State Govt. Deptts. & PSUs. For Sl No. 2 : CA or ICWA. Minimum 15 Yearsâ€™ experience (12 Years for E6 level) post qualification experience including 5 Years experience in the fields of Taxation, Tendering, Budgeting, Reconciliation etc. Last Date for Receipt of Applications : 03/07/2017. How to Apply: Interested eligible candidates can send their application in prescribed format along with all necessary documents to the Dy General Manager (P&A), RailTel Enterprises Limited, Plot No. 143, Institutional Area, Sector-44, Gurgaon- 122003, Haryana on or before 03rd July 2017. Subscribe our Free Job Alert Mail Service for Latest RailTel Recruitment Notification.